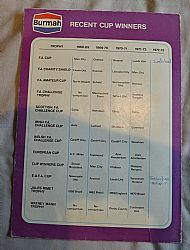 Probably the rarest of all the football related petrol giveaways (alongside the Texaco footbellers coins and Total Petrol gold figures). 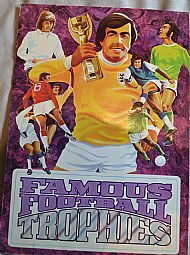 From 1972 by Burmah and comprising of lovely metal stickers of all the major trophies, plus a collectors card/poster. Beautiful item, the individual trophies are works of art. 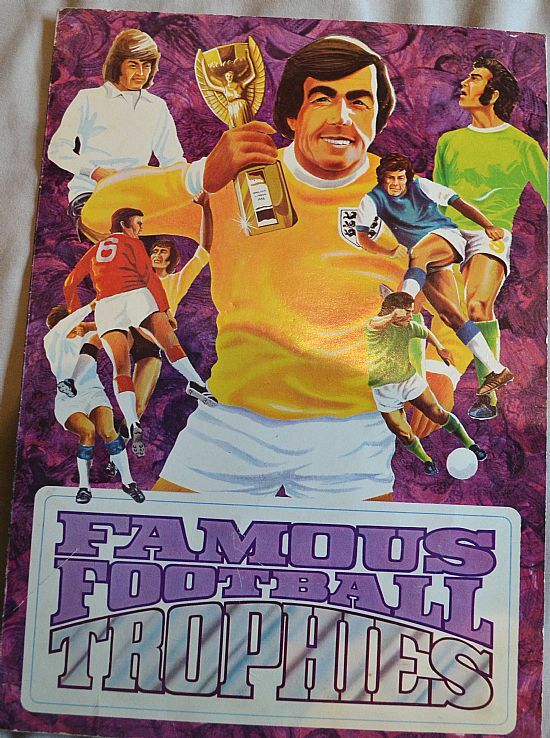 Classic 1970s illustration on the cover. 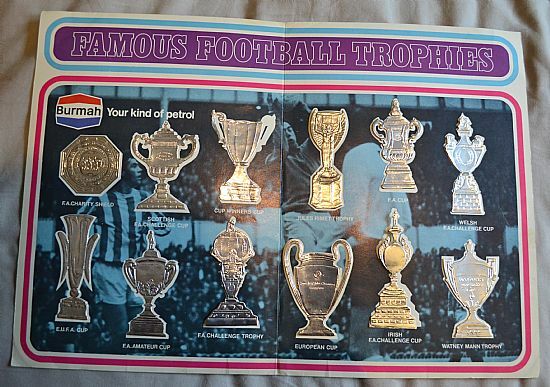 beautiful spread of trophy stickers. The ECWC is missing a handle. 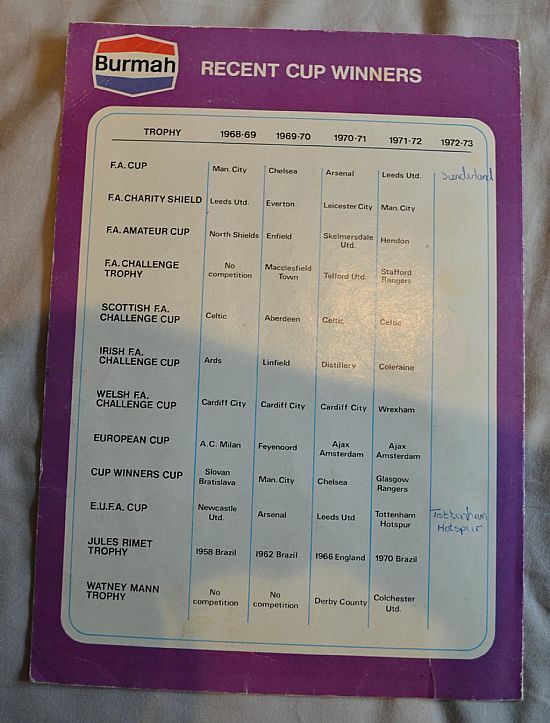 The trophy holders at the time of printing.